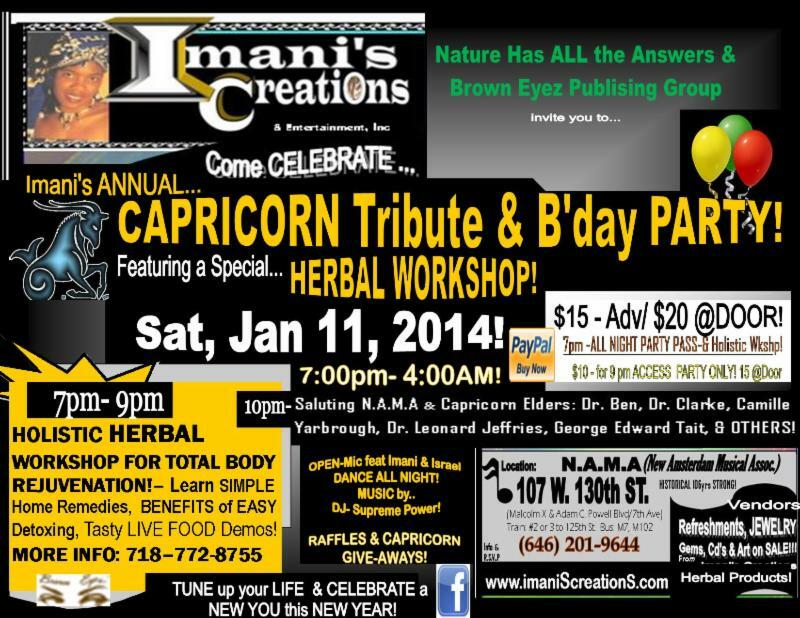 Sat Jan 5- CAPRICORN TRIBUTE & Imani's B'day Party!!! 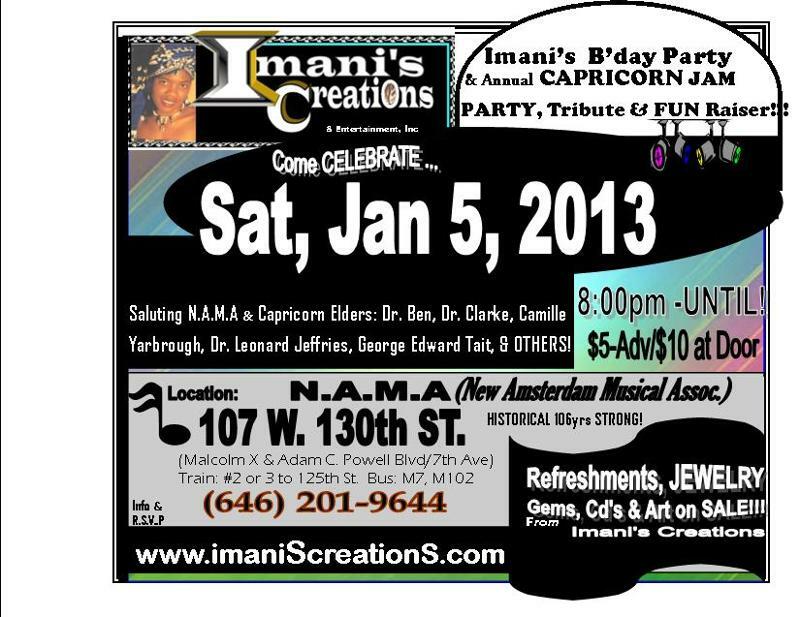 Imani's B'Day Party & Annual CAPRICORN TRIBUTE 2013! Open Mic JAM / PARTY / Special Exhibit Salute to Honor the Spirit & noted works of - CAPRICORNS Elders, Ancestors, Holidays & Legends- Dr. John Henrik Clarke, Dr. Leonard Jeffries, Dr. Ben, Nana Camille Yarbrough, George Edward Tait, 1st Lady Michelle Obama, Dr. Chancellor Williams, Denzil Washington, Mary J Blige, Three Kings Day, Christmas, Kwanzaa & MORE!!! 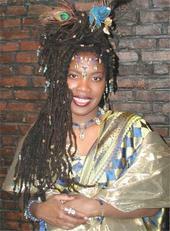 Dance 'til Dawn to vibes of Classic Soul, Reggae & Ole' Skool HOUSE MUSIC mixes by Soul Summit DJ's - DJ Sadiq & DJ- Squeeky! Refreshments (Vegetarian Dishes & Roots Tonics & Juices), Jewelry, Gemstones/Crystals, Zodiac Packages, Cd's, Raffles & MORE on SALE! Get New Year CRYSTAL Readings, DIVINATIONS & Affirmations! Mini-MASSAGES by Turning Heads Salon! FUN GAMES & PRIZES! 1st 20 CAPRICORNS to arrive with a guest gets a FREE gift!!! ALL CAPRICORNS Present will be HONORED!